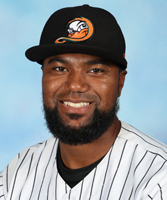 Gomez returns to the Ducks after joining the team late in the 2018 season. He started the regular season finale at catcher while also appearing as a relief pitcher at York on August 31. The Queens, N.Y. resident earned a spring training invite last year after participating in the Ducks open player tryout. He spent the first five seasons of his professional career in the Cincinnati Reds organization. The 27-year-old began his career as a position player, totaling nine home runs, 54 RBI, 47 runs, 18 doubles and three triples over 130 games. He then converted to a pitcher in 2013 and appeared in 36 games over two seasons, striking out 43 batters in 38.2 innings. Gomez was originally signed by the Reds as an international free agent in 2010.